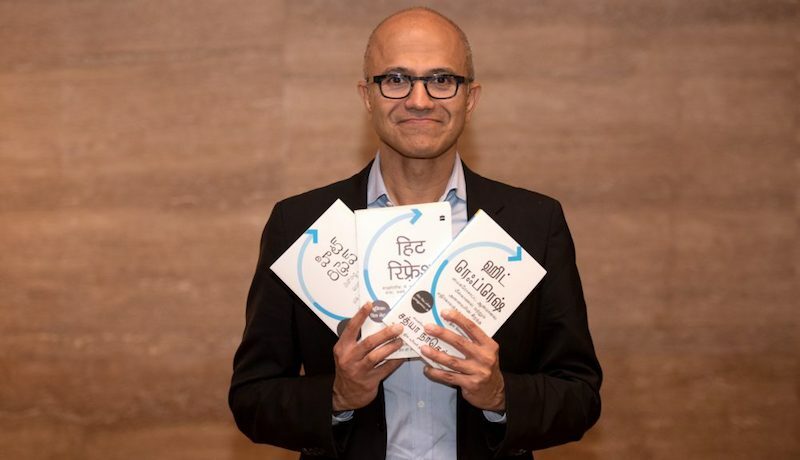 Microsoft's CEO Satya Nadella is visiting India, and Gadgets 360 got to spend some time with him, where he talked a little more about the idea of "hitting refresh", which is the title of his book, the inside story of Microsoft's continuing transformation. 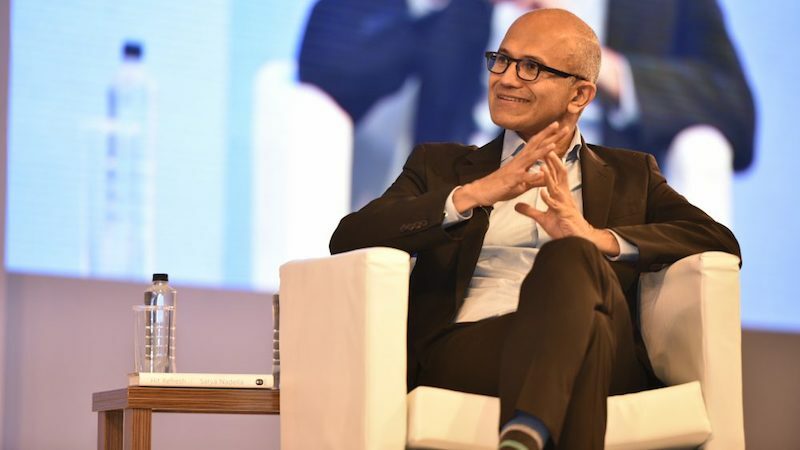 He spoke about the importance of learning rather than knowing, how Microsoft has changed over the last 25 years that he's worked there, and together with Microsoft India President Anant Maheshwari even dropped a small nugget about a product that's coming to India soon. The new Surface Pro was launched in China this May, but you can't buy one in India yet. We asked Nadella when that might change and he suggested there isn't enough demand for premium devices like the Surface Pro. "We listen to the market - the elites buying computers is not a market - market [in] India is, we have lots of 2-in-1s," said Nadella, adding that there is a range of OEM machines offering Windows 2-in-1s at lower prices. "That's a launch that's happened in China and it's on its way to India," Maheshwari said. "China is now a market where the volume differentials are significant." Nadella came back with a quick riposte, and said, "I think we're being challenged to do even better here." While that was a more forward looking bit of information, the rest of the talk with Nadella, who took over as Microsoft CEO four years ago, was more retrospective, reflecting on his 25 years at the company, and its process of transformation. Although man people within the company have credited Nadella with rebooting the corporate culture, he said that it's been a work in progress for the company from the time he started. "If you think about digital technology today compared to when we were born in 1975 [Nadella himself is a little older, born in 1967] the fact is that every walk of life is being more impacted by technology," said Nadella. "Software is everywhere. Even in India when I look at the conversations I'm having, the length and breadth of this economy, it's pretty stunning in terms of the amount of value we can add." What's important, in a constantly changing world, is building a cohesive sense of identity, and that's something Nadella feels is true for Microsoft. "What I feel that we could do is to have that sense of purpose of what we do, and how we do things," he said. "Technologies will change but I think that sense of identity needs to be maintained. In fact, you look at our track record - wherever things we've done which come more naturally to us because of who we are and our DNA, we've been very successful." "Even if it's a consumer product, it's a tool, I want this to be something… I fell in love with Microsoft technology because of what it created, whether it was Office to write documents, or as a developer who could write apps, how do I stay true to that? Because that's what I think will be unique and valuable, especially in today's world," he continued. 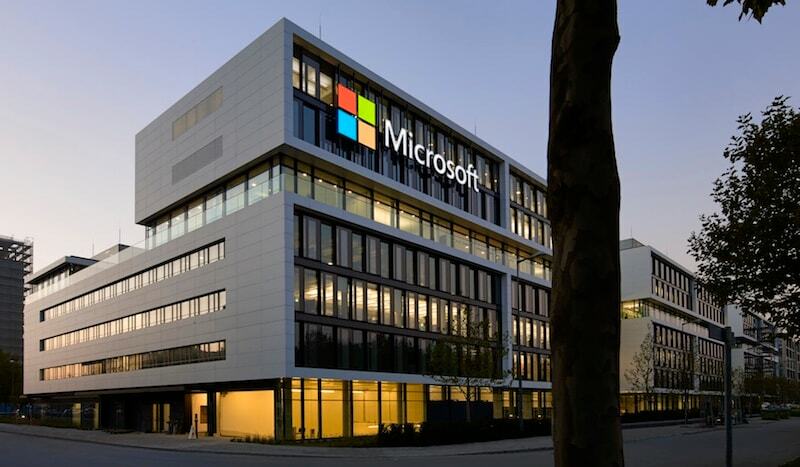 One question the came up was whether the DNA of Microsoft is now skewing towards an enterprise business - many of its biggest facets are focused at businesses, particularly big business. In turn, the consumer space sees to be more dominated by companies like Google and Apple. Nadella waved away the question, saying, "I'm not begrudging other people's success," before going into the topic in some more detail. "I won't take away whatever success Apple and Google are having in whatever their fields… they're very different companies [from Microsoft]," he said. "We're not some middlemen trying to get in the middle of the marketplace - we're a tool creator. We're not a luxury good manufacturer, that's not who we are. We're about creating technology so that others can." "If anything take what we've done with Surface," Nadella continued. "We created a premium product, a premium brand, and then basically said, you know what, every OEM should create lower price, more affordable 2-in-1s, and that's what's happening everywhere. That's who we are. We want to democratise things. I want us to be proud of what we can do." One of the ways in which this is happening, Nadella revealed, is through the creation of entirely new mediums via augmented reality and mixed reality. He talked about Paint 3D as one way in which Microsoft is accomplishing this. "The question is can we create, can people create. That's why I'm excited with what we're doing with 3D and Paint, like when you know there are 100 million people, 100 million MAU, and what can we do to get the painters of the world to paint in a new medium like 3D, and to be a part of this new medium of mixed reality. 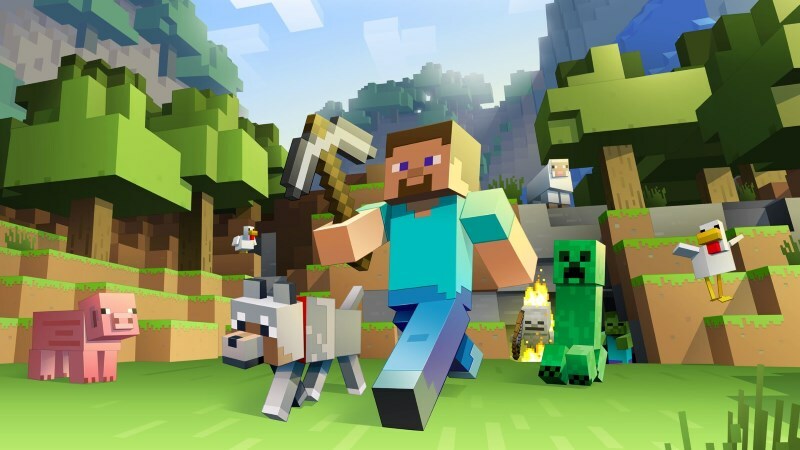 That's a consumer product to me, Minecraft is a consumer product to me," Nadella said. One of the things Nadella talked about was the importance of always being ready to learn. "Let's have perspective. What matters more is not what you did yesterday, it's what's your posture of learning tomorrow," said Nadella. "That's what I hope parents, or institutional leaders, can do. We have to be about being able to identify kids with potential, and giving them the confidence to be not know-it-alls, but learn-it-alls. Flunking exams has taught me that as long as I'm learning, I'm fine." Nadella has been living up to those words as well. In 2014, he apologised for his comments about women, admitting he was wrong for saying that women don't need to ask for a raise and should just trust the system to pay them well. Now, he talked about some of the steps Microsoft has taken ever since that incident took place. "It's been a huge learning for me, the answer I gave was complete and utter nonsense in retrospect," said Nadella. "They didn't need to know about my perspective as a man. They wanted to know what me as a CEO of a company is doing to create a more inclusive culture." To that end, Microsoft is looking to go beyond good intent and actually create measurable change. "[We] have come to realise how much more we have to do, not only to push representation… The journey just starts there but after that, how are you creating the conditions so that they feel a sense of belonging and inclusion and one of the things we've done is, instead of being just a set of words, let's just turn and change the compensation system for me and my team, where we have to make numeric progress. I feel that there is a lot more to be done," he said. "In fact, Melinda Gates talks about how when she joined computer science in Microsoft, there would be 35 percent women in computer science classes, it's dropped to 17. So we've a lot more to do to make computer science attractive. But the best way to do it is for companies like Microsoft to show role models who are coming in and succeeding so we have a very solid plan and each year we are making progress on representation." Microsoft is visibly changing now, but Nadella said that it's something that has been happening for a long time. There are some guiding principles that drive this, he said. "Microsoft should never be driven by envy for what others are creating, but what is it that we can do that's unique and adds value," said Nadella. "Sometimes we can mistake participation for value, the world needs us to do unique things. Take the Pen obsession we have - that's something that we will do a great job of. I want to create great consumer products, on our platforms, on other platforms, where people are able to write, because I feel writing is going to be a very important part of how kids learn. Or what we are doing in gaming, that's a consumer for consumer franchise, and if anything, we've doubled down in a big way, whether it's PC gaming or console gaming." "Or even when I think about devices, I'm thrilled about what we're doing with the ultimate mobility device - even in this trip I was using my LTE-enabled Surface - and it's awesome to be able to go everywhere and stay connected and have an ultra mobile device," he added. "We have one operating system, and we are always going to be looking at what's the form and function that can change people's behaviour. Take what we're doing with Holo Lens. We're seeing enormous success with hospitals using it, front line workers in manufacturing using it, but at the same time we're clear that Minecraft on Holo Lens will be a hit game. We will be always looking to exploit technology that is crossing over because we're uniquely capable of doing that." This thinking is also what's behind Microsoft's presence on multiple platforms; apps like Office will sometimes have features appear on iOS before they arrive on Windows, something that was unthinkable a few years ago. This is quite intentional under Nadella. "Even take what we did recently with Groove versus Spotify. Look at the Harmon Kardon speaker, it's a fantastic Cortana speaker - for Spotify," he said. "The last time I checked there were lots more Spotify people than Groove people, so let's bring the best of what Microsoft has to offer to a Spotify lover."